Near Miss is an International Association of Fire Chiefs (IAFC)-managed program that collects and shares firefighter near-miss experiences. The program was generously begun in 2005 with grants from the Department of Homeland Security and Fireman's Fund Insurance Company. Contact us at nearmiss@iafc.org or 703-273-0911 to learn more. We provide you with the means to anonymously share your near miss stories via an intuitive online reporting tool and share them out with the entire fire service. We develop training materials based on the near miss stories we collect. 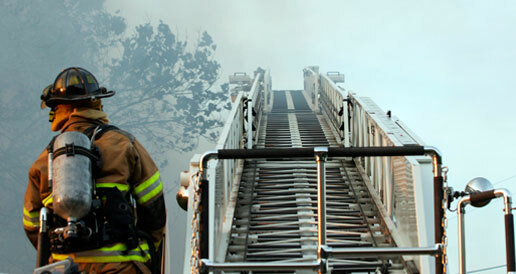 We compile data and look for trends to identify emerging hazards and advocate for firefighter safety. A near miss event is defined as an opportunity to improve health and safety practices based on a condition or an incident with potential for more serious consequence. "A near miss, like any error, is an opportunity to examine how mistakes are made and what changes might prevent them." What happens when a report is submitted and how quickly will a report be posted on the www.firefighternearmiss.com website? Each report is reviewed by two separate fire service Subject Matter Experts who remove any identifying information to protect submitters’ identities and analyze the report for safety hazards. The report is then published and may be used to develop training materials such as Report of the Week. This process may take up to a week, unless they require more extensive review.